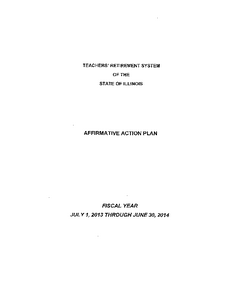 Description: Affirmative Action Plan for fiscal year 2014, July 1, 2013-June 30, 2014. 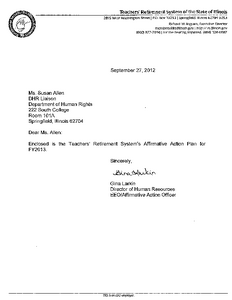 Description: The Teachers' Retirement System of the State of Illinois summary is a Comprehensive Annual Financial Report. 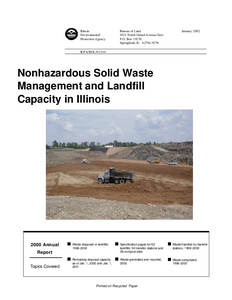 Description: This is a summary of the Comprehensive Annual Financial Report for the fiscal year 2012, July 1, 2011-June 30, 2012. 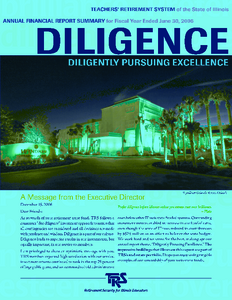 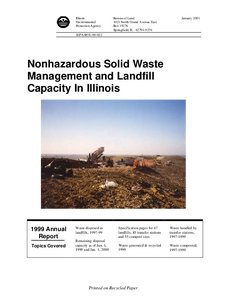 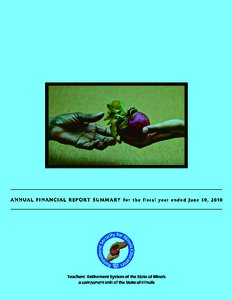 Description: This is a summary of the Comprehensive Annual Financial Report. 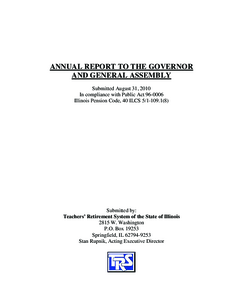 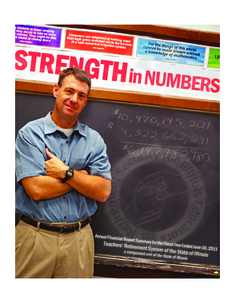 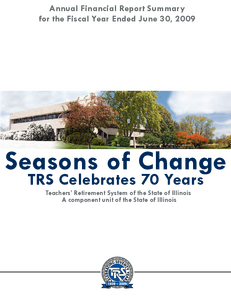 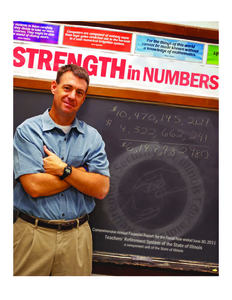 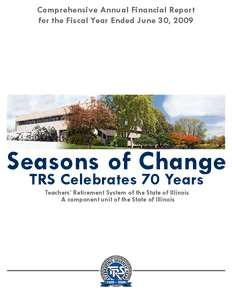 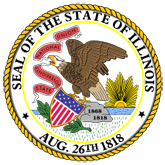 Description: We are pleased to present the Annual Financial Report Summary for the Teachers Retirement System of the State of Illinois (TRS) for the fiscal year ended June 30, 2008. 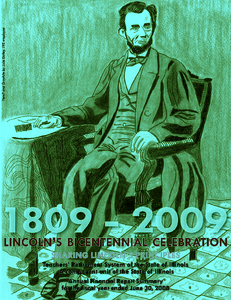 This years report commemorates Abraham Lincoln and the upcoming bicentennial of his birthday in February 2009. Description: The Teachers' Retirement System of the State of Illinois (TRS or the System) continues its efforts to support diversity within its investment program and the overall organization. 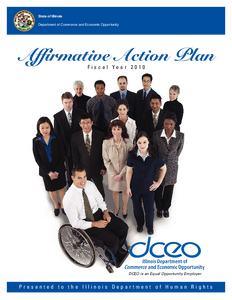 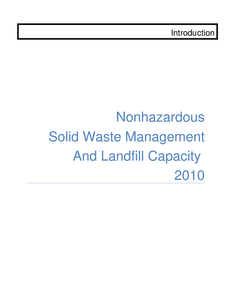 This report summarizes some of the Systems key initiatives with regard to the greater utilization of minority, female and disabled owned firms within TRS.